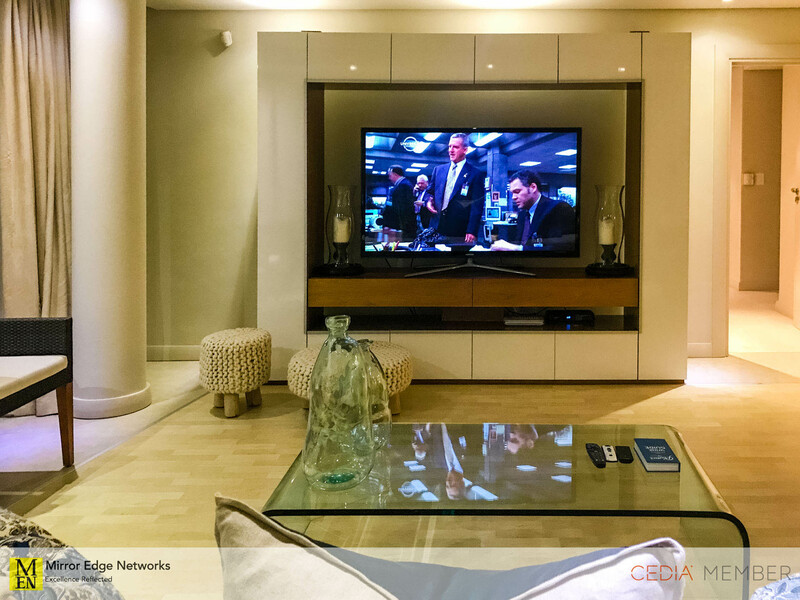 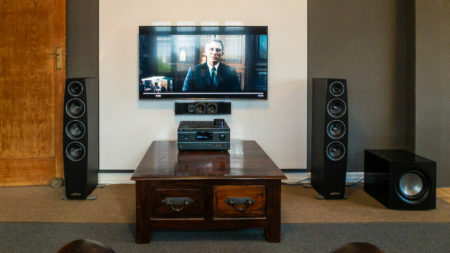 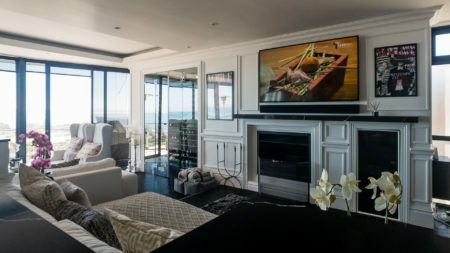 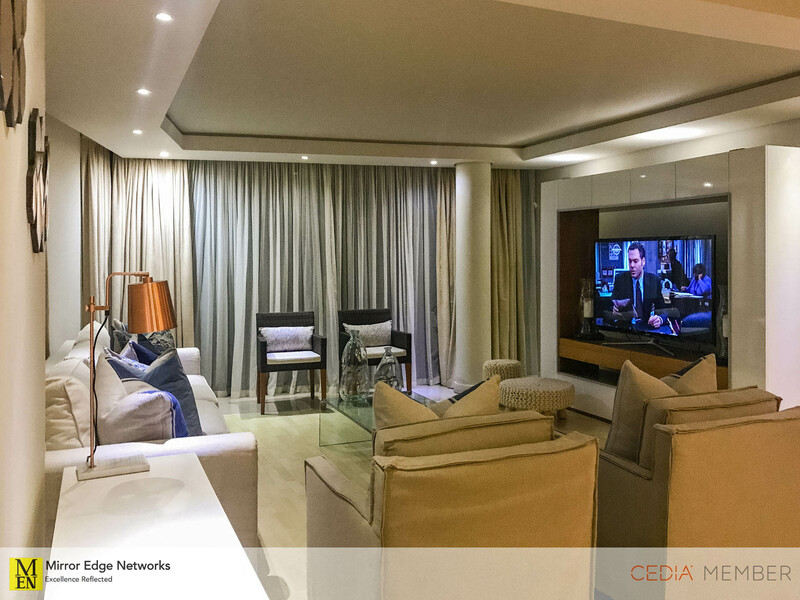 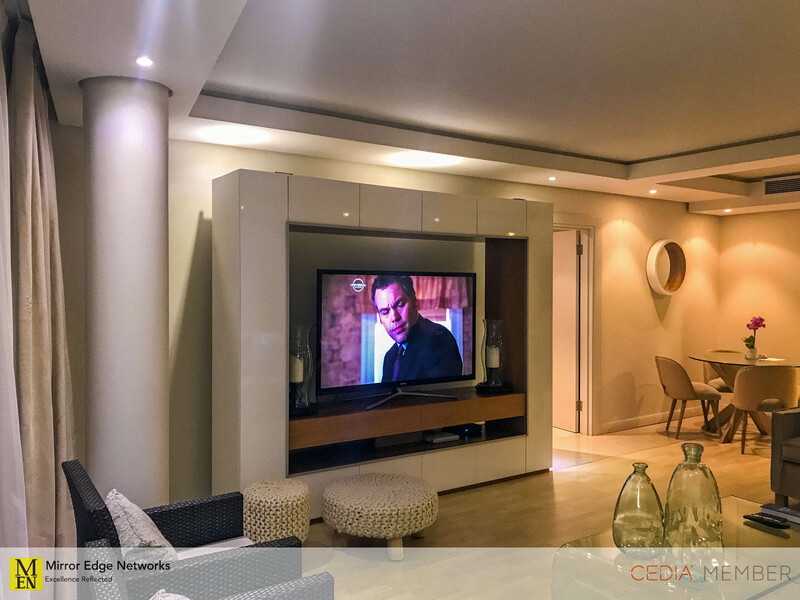 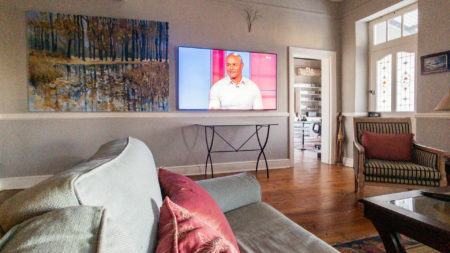 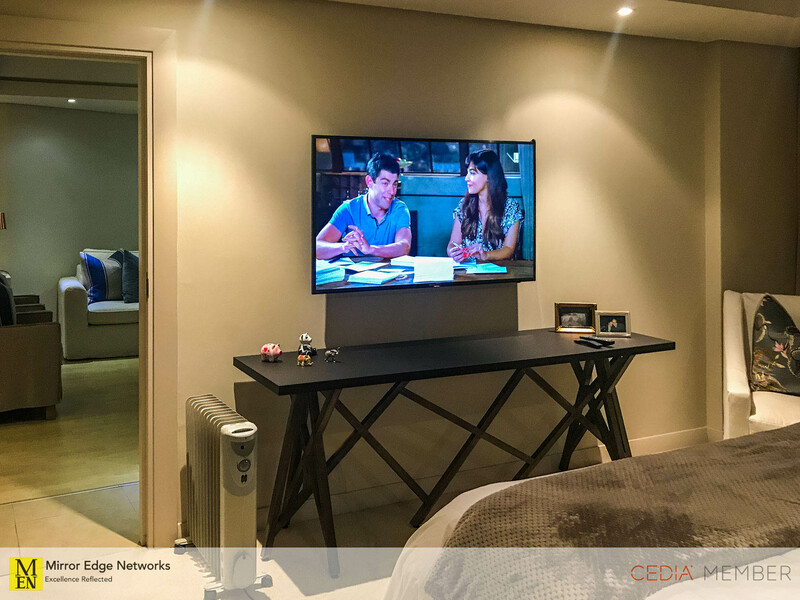 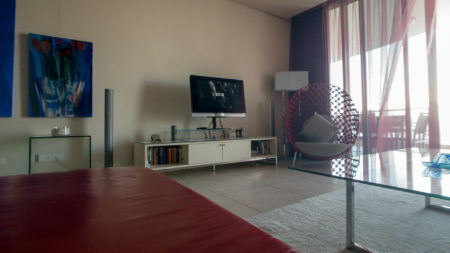 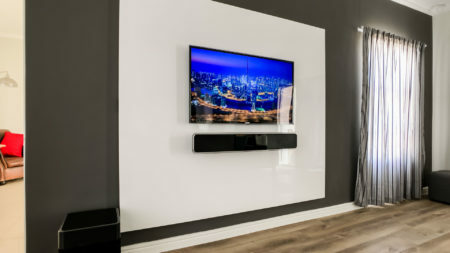 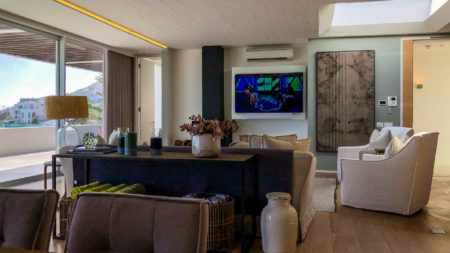 One of our regular clients required the installation and setup of DSTV and televisions in his Eventide apartment in Clifton. 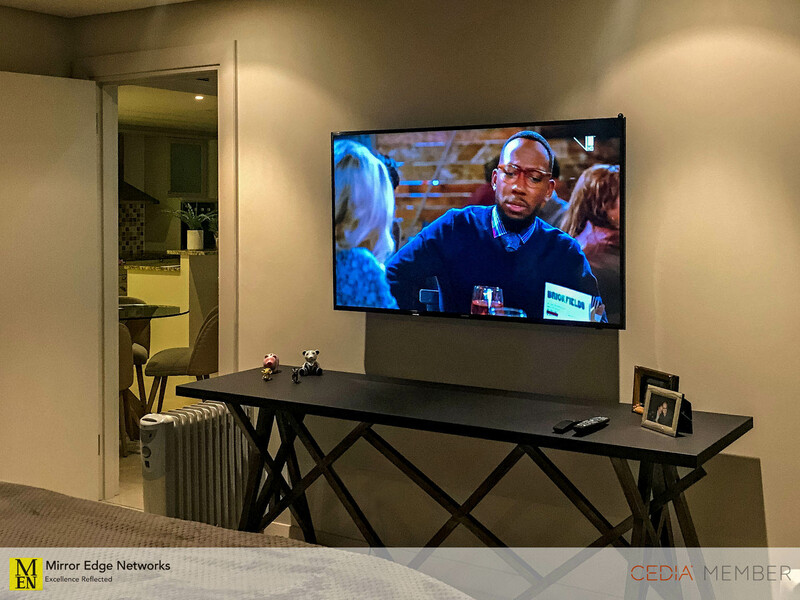 We arranged for the DSTV over fibre to be activated from Smart Village and ensured that the decoders were activated so that we could have high definition DSTV in the lounge and master bedroom. 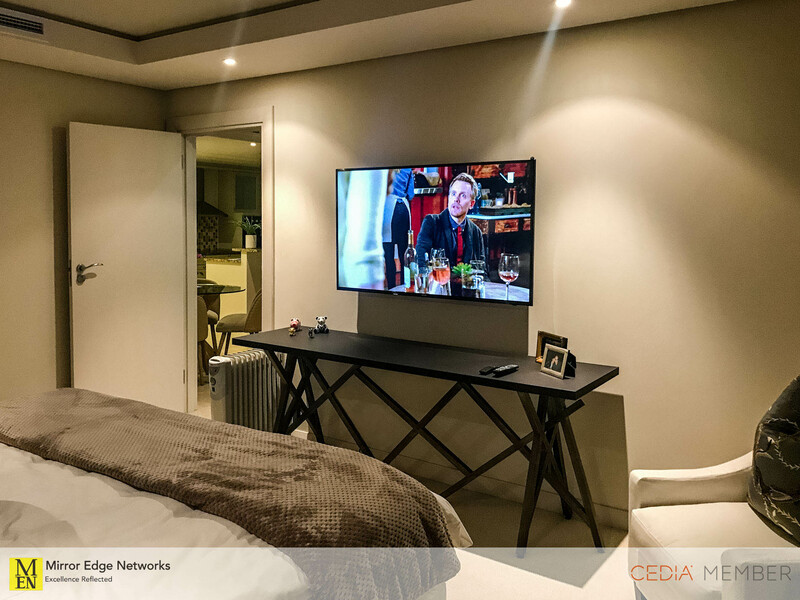 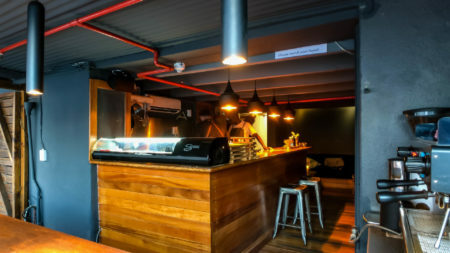 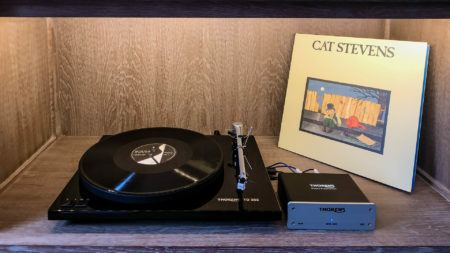 The televisions installed are 50″ high definition tv in the lounge and a 55″ ultra high definition television in the master bedroom on a flush mount Vogels wall bracket.